This list of 9 books is where you should start. They are a great introduction to starting a new business. The Founder’s Dilemmas by Noam Wasserman — Should I start a company? With whom? Wasserman answers all the questions every entrepreneur asks themselves. The Four Steps to the Epiphany by Steve Blank — This is a guide that explores how tech ventures approach product and customer development . The Lean Startup by Eric Ries — This book repackages the idea that a systematic approach to validating your business hypothesis will help you understand what your customers need. It’s all about using low-cost experiments to do your market research. Business Model Generation by Alexander Osterwalder — Most innovative businesses are made possible thanks to new business models (Ryanair, Nespresso, Skype…). Osterwalder provides an easy way to visualize your business model on paper and play around to come up with more innovative ideas. Zero to One by Peter Thiel and Blake Masters — In this book, Thiel explores the philosophy of the rapid growing ventures in Silicon Valley. The Personal MBA by Josh Kaufman — This book gathers the principle that every MBA student should learn. A good foundation to teach yourself more about business. The Mom Test by Rob Fitzpatrick — Learn how to run better customer interviews and avoid getting biased data. Fitzpatrick summarizes the do’s and don’ts of qualitative market research. Running Lean by Ash Maurya — Maury did a clever compilation of the main methods for entrepreneurs. Fundraising Field Guide by Carlos Espinal — Written by an active investor, this is a manual for the entrepreneurs who want to raise money in order to boost their business. There’s more great readings below. But these 9 books are already a good start about entrepreneurship and innovation. An entrepreneur like Bill Gates reads a lot of books. I bet you did not know he has a reading list too. Marketing is both art and science. So I tried to balance both in this marketing reading list. These books are written by practitioners. Some focus on the world of creativity, while others are about data and analytics. Ogilvy on Advertising by David Ogilvy — This book triggered in me this passion for marketing. Ogilvy is known for combining skillful copywriting with rigorous performance tracking. Scientific Advertising by Claude Hopkins — Hopkins is one of the first marketers to use analytics to the performance of advertising. A must-read according to Ogilvy himself. Positioning by Al Ries and Jack Trout — Ries and Trout defined one of the key concepts in marketing: positioning. 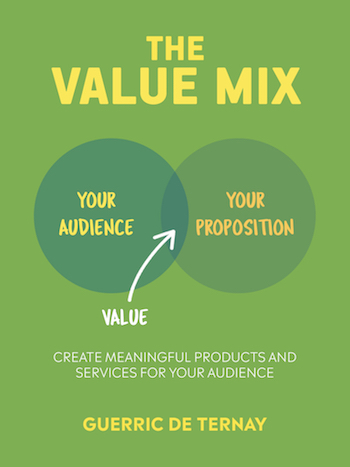 It is a good framework for creating products that people want. Beyond Disruption by Jean-Marie Dru — Dru shares a framework that helped create global brands such as Apple and Absolut Vodka. The Copywriter’s Handbook by Robert W. Bly — Bly inspired many successful copywriters. This book teaches you how to sell through writing. All Marketers Are Liars by Seth Godin — This book explains how to tell stories that will resonate with the customers you want to serve. Here’s a good summary. The 22 Immutable Laws of Marketing by Al Ries and Jack Trout — In this book, Ries and Trout explore some key principles in marketing. Lean Analytics by Alistair Croll and Benjamin Yoskovitz — A good summary on how to use metrics (i.e. a more scientific approach) to plan and execute your marketing strategy. If you want more recommendations of books, here’s my personal reading list. I update it regularly. Warren Buffett claims doing mostly two things—he thinks and reads all day. As entrepreneurs and executives, we all need guidance if we want to keep growing. Here are the 3 books that I have gifted the most on the topic. Read these books. Take notes and apply what you learnt. I can guarantee that you’ll feel happier and more fulfilled in a few months. Bill Gates recommends it. It’s is fair to think that it’s a good read. It’s a booked backed by science. In this case, Carol Dweck summarized 30 years of research on education and the psychology of success. 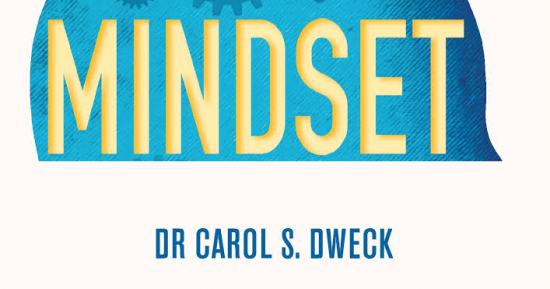 In Mindset, Dweck explains how a simple idea makes all the difference. 1. In a Fixed Mindset, people believe their basic qualities—e.g. personality, intelligence, or talent—are fixed traits. They spend their time trying to prove their intelligence or talent instead of developing them. They also believe that talent alone can create success—i.e. what sets people apart. This is wrong. 2. In a Growth Mindset, people believe that their basic abilities can be developed through dedicated hard work. Here, intelligence and talent are just a starting point. This view triggers a love of learning. It makes people more resilience and more willing to put efforts into their projects. That is essential for great accomplishment. 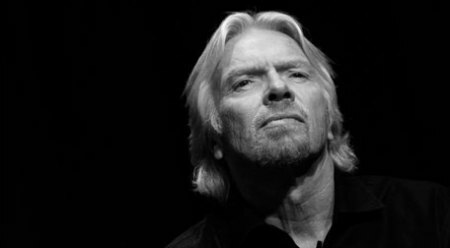 It’s likely that most of the people you regard as being successful have a growth mindset. This is the source of their motivation and ability to get where they want to be—even if it takes time. As you read Mindset, you’ll see why I love gifting this book. Get Mindset: The New Psychology of Success here. Most of us want to have a fulfill and happy life. Then, we hit the battleground. We start our career, behave like a “professional”, and somewhat end up doing things that we don’t enjoy. This happens you start living someone else’s life–when reasonable takes over passionate. How can your life take a direction that you didn’t want to chose? How come you lost control of where you are heading in life? According to Clayton Christensen, there’s a simple answer. 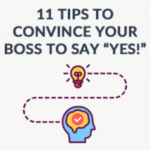 You may not have chosen the right way to measure your personal and professional successes, i.e. what really matters to you. Of course, finding what really makes you happy isn’t easy. What’s the objective? The purpose of this book isn’t to tell you what you should do. It is here to make you aware of the problems, to make you think, and to set you in the right direction. How does it work? In How Will You Measure Your Life?, Clayton Christensen translates the business strategy frameworks that he teaches at Harvard to help us design a better personal strategy. Honestly, I loved reading this book so much that I read it twice within three weeks. Many friends already bought it. They also all liked reading it. 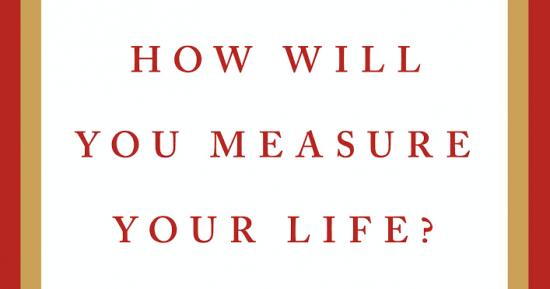 Buy How Will You Measure Your Life? here. We agree that “time is your most precious resource”. It’s the limited resource our lives. And yet, we often end up procrastinating–staying away from our goals, and wasting time doing things that don’t fulfill us. We often try to do too much.. or actually too many things at once. It is a simple approach. The book introduces just 10 habits that will make you get control back over your time. (That sounds doable). There’s a plan to implement these habits at a pace of one per month. This is an excellent alternative or complement to the reputable Getting Things Done.. I recommend to anyone who feels they’re procrastinating too much, and want to achieve more. 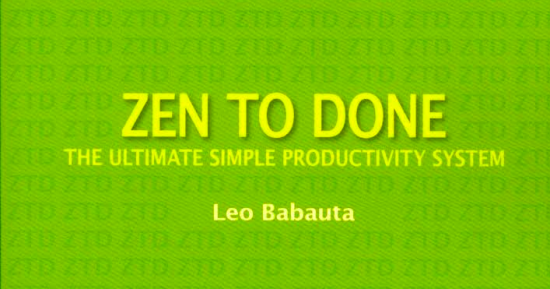 Buy Zen To Done: The Ultimate Simple Productivity System here. 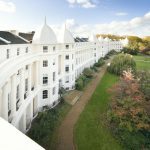 Besides reading my selection of the best books for entrepreneurs and executives, you can also attend these online courses. They almost feel like an MBA tailored to entrepreneurs. Here’s the reading list for CS183B recommended by Sam Altman. 1,000 True Fans — Every startup should start targeting a niche market. Archives of Marc Andreessen’s Blog — I recommend reading this post about product-market fit. 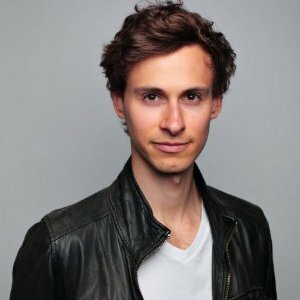 RECONSIDER by DHH — Get clear on why you want to start a company. 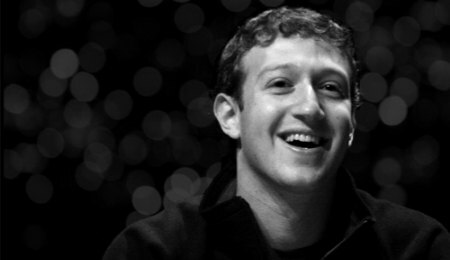 Among other successful entrepreneurs, Mark Zuckerberg is an avid reader of books. Did you know that he started his own book club? Here are a few online publications that won’t take too much of your time. Paul Graham — Founder of Y Combinator, Paul Graham is well-known for his popular essays about entrepreneurship. Seth Godin — Seth Godin challenges you every day with a short essay about to marketing, personal growth, and entrepreneurship. Harvard Business Review — HBR highlights the constant evolution of management and leadership. Find great articles on Y Combinator’s Hacker News and signup to the weekly Startup Digest Reading Lists, especially the Marketing Technology one that I co-host. Initially published on Oct 4, 2014. The Simple Guide of the Best Books for Entrepreneurs included more resources. It took me some time to share an even shorter list.